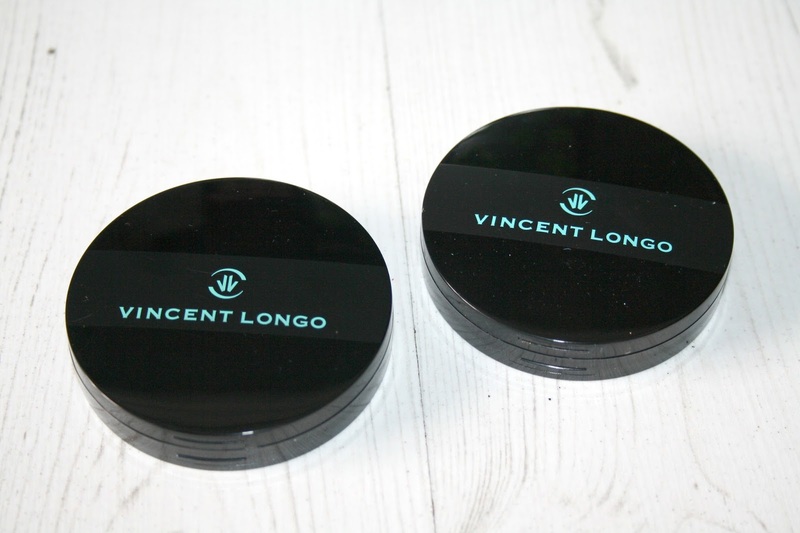 I first came across Vincent Longo Cosmetics towards the end of last year, when my which point they had been around for 20 years! Regularly used on television, the red carpet and the runway, Vincent Longo cosmetics is said to be a beauty and fashion insiders makeup brand of choice and one which is trusted among A-listers, Supermodels and Professional Makeup Artists. 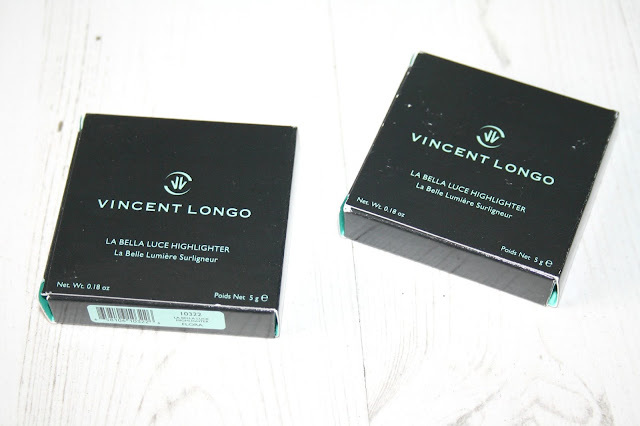 I am obsessed with highlighters and have a growing collection, the two I am sharing with you today from Vincent Longo, La Bella Luce, are nothing short of beautiful. La Bella Luce translates to mean beautiful light' in Italian and there couldn't be a more perfect description. Available in two, multi-tonal shades there is Flora which is described as being a pearlescent pink and Patina which is a soft golden bronze. Vincent Longo describes the highlighters as containing Vitamin E for hydration and says they are suitable for all skin tones and can be used for an all over ambient glow or just for highlighting. Essentially they can both be applied anywhere that light would most naturally strike - brow bones, cheeks, bridge of the nose, cupids bow, corner if your eyes, exposed collar bones and décolleté. The marbled design of the pan making it easy to achieve that multi-faceted glow. The paraben-free formula for both highlighters are of a silky texture and can be as buildable as you want or need them to be. 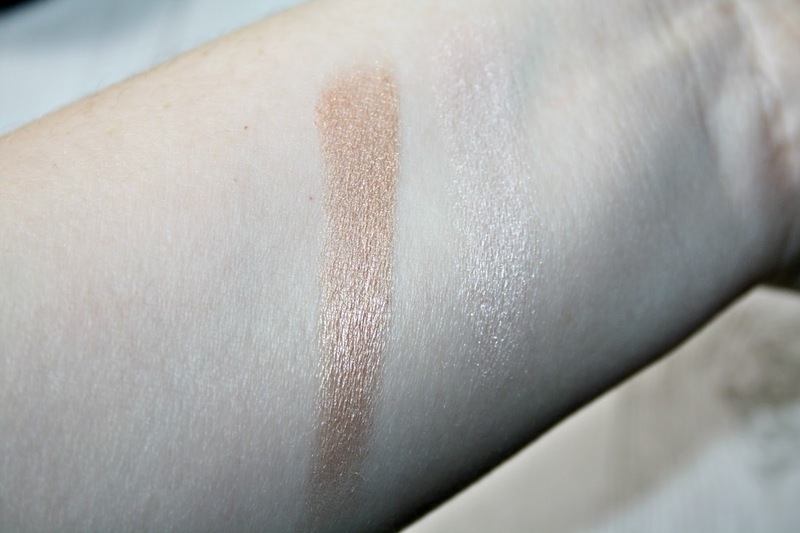 The swatch shown above is one swipe across the top of the top of the powder. You really do need just a small swipe to get amazing colour pay off and an amazing glow. Aside from being used highlighters, both shades work really well on the eye lid with Patina, the soft bronze shade gives a great wash of colour. The packaging, which has a magnetic closure and with a mirror in the lid are great quality and perfect for having in your 'on the go' makeup bag. 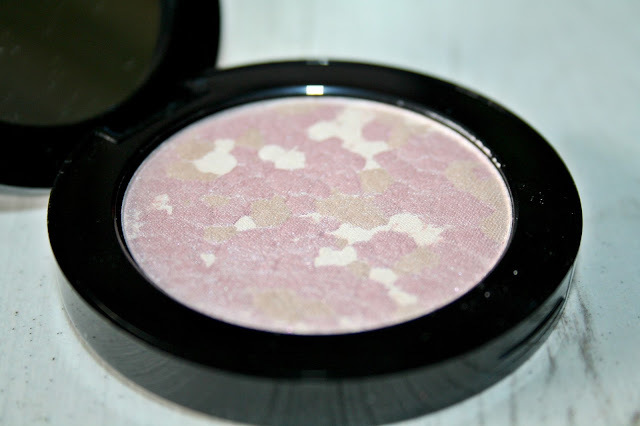 Priced at £24.50 here and it is hard not to fall in love with either of these highlighters. These look sooooo nice!!! I have heard the name before but never tried them! Tempted! These look so pretty! Love a double use bit of make up too! I've been after a good highlighter for a while and these look like exactly the type of shades I have been looking for! This looks like such a nice highlighter! That shade is incredible. Flora looks my kind of shade! I am quite pale so this would work perfectly. These look gorgeous, love hearing more about brands I'm not as familiar with! I've never heard of this brand but the product looks amazing! These look so nivc! I haven't heard of the brand before but I like! I love the look of Flora! I'm embarrassed to admit that I've never heard of this brand before. These look so cool, I really need to try them. The highlighters look and sound great. I love that they contain vitamin E and are paraben free. They look great on I love the bronze. Wow- they look really strong. I got a highlighter the other day but it doesn't seem very visible which is kind of annoying! These look stunning, that golden bronze is amazing! This looks like a great product. Will have to check it out. Oh wow! Those colours are amazing!!! I love that it contains vitamin e too. I don't really use highlighters (because I don't know what I'm doing! ), but I love the glow of the bronze one! Need to try, absolutely my kind of shades. I have not heard of this brand before but I love discovering new makeup brands. 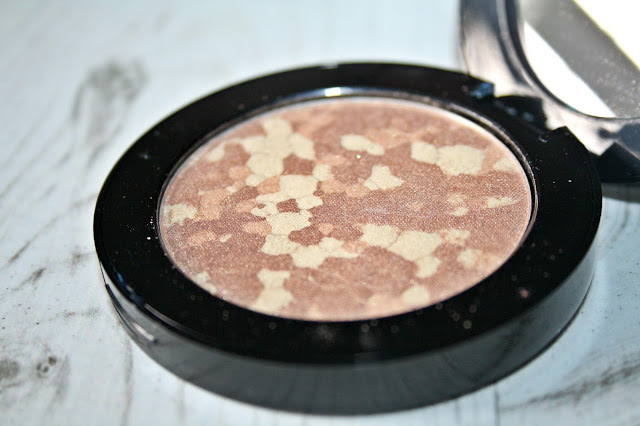 I have never used a highlighter before, but this is making me think that I neee to try! The shades are beautiful and the packaging is just so elegant and classy.